In an ideal world, everyone could devote 20 hours per week to studying for the MCAT. 20 hours over a period of 15 weeks or more will achieve 300 hours of study time—a target time highly recommended by experts! However, the majority of medical school applicants are juggling classes, work, families, or some combination thereof. Luckily, strategy and consistency are at least as important as the total number of hours studied. 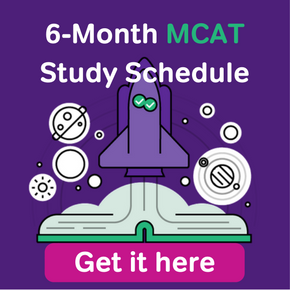 By following this 2-month MCAT study plan, you will review every major area of the MCAT in only 8 weeks at a rate of 25-30 hours per week. If you’re ready to start crafting your MCAT study schedule, don’t allow the time constraints to get the best of you. Focus on developing a sustainable rhythm and overcoming the temptations to procrastinate or cram. Best of luck to you! Before moving forward with this MCAT study schedule, make sure you have the essential materials listed under the section MCAT Essential Materials. Each week, you will see a list of Magoosh videos to watch. There is time set aside each day for watching them, and the rest of the day you will be reviewing subject areas. For instance, on Week 1, Day 2, you will study biology, psychology, and practice “Critical Analysis and Reasoning Skills” passages. There is also time at the end of most days to answer sample questions and/or quiz yourself with flashcards. To study concepts in more detail, you will probably want to consult scientific textbooks or online sources. Suggestions are listed under the section MCAT Highly Recommended Materials. 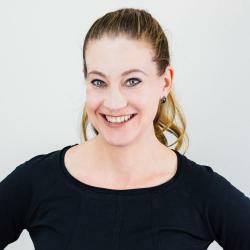 The schedule is designed to be followed at a rate of five hours per day, six days per week, but you can stretch it out or condense it to fit your needs. 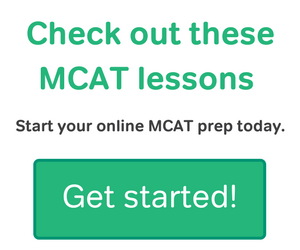 The Magoosh Premium MCAT Test Prep curriculum includes over 300 video lessons, 740 questions that can be taken as three tests, and unlimited email assistance from MCAT tutors. The lessons are taught by a diverse team of experts, including two physicians, a medical sociology professor, a higher education physics teacher, a current medical student, and a CARS expert. The Official Guide to the MCAT Exam, (4th edition), published by the Association of American Medical Colleges, is available in electronic and print formats. It is very important that you purchase the 4th or 5th edition, because the MCAT exam was reconstructed in 2015. The AAMC practice test. The practice test is a crucial tool, and our study plan suggests you take it within the first week. Not only will it give you with a scaled score, it also provides an assessment of your strengths and weaknesses, both in terms of content and question type. Bookmark at least five established online newspapers, news magazines, or sources that contain sophisticated coverage on current events. You can also read paper versions to give your eyes a break from looking at a screen. Recommendations include: The New Yorker, The Atlantic, The New York Times Magazine, The American Interest, The Toronto Star and Foreign Affairs. One or more large notebooks or electronic documents divided by content area (biology, chemistry, physics, organic chemistry, sociology, psychology, and CARS). You need a consistent place to store notes that allows you to quickly draw diagrams and write equations. Unless you have a computer or tablet with a high-quality stylus, a paper notebook is essential. AAMC second practice test. Since there are only two practice tests written by the creators of the MCAT, I recommend purchasing this in addition to the practice test listed in the Essential Materials section. Just like the first practice test, you can take this five times to make sure you are able to correct mistakes from earlier run-throughs. Barron’s MCAT Flash Cards. Make sure to order versions dated 2015 or later. This is a great MCAT study schedule resource for more in-depth explanations of major concepts. It is one of the few sources that lists and describes each of the major and minor topics on the AAMC’s need-to-know list. The cards provide detailed descriptions of concepts along with formulas and diagrams, but if you come across concepts you haven’t encountered in the past, you will also want to supplement your review with outside studying. AAMC Online practice questions for biology, chemistry, and physics. These are reasonably priced and written by the test makers. If you already have books or online programs with sample MCAT questions, you can certainly use those instead. AAMC MCAT section bank for biochemistry, psychology, and sociology. Students who have taken the MCAT since it was revised in 2015 have complained that many of the MCAT practice tests and prep books don’t reflect the increased focus on biochemistry and the social sciences. 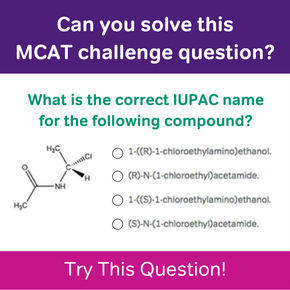 The writers of the actual MCAT developed an online bank of 300 practice questions for these three subjects, which are underrepresented in the universe of MCAT test prep materials. If you already have books or online programs with sample MCAT questions, you can certainly use those instead. The AAMC online CARS practice passages. You will need at least 50 practice passages, and this online bundle is reasonably priced and contains 120 passages. Make sure to read the social science and humanities passages and ignore the natural science passages, because they no longer appear on the actual exam. If you already have books or online programs with sample MCAT questions, you can certainly use those instead. MCAT CARS, MCAT Chemistry, and MCAT Psych & Sociology. Supplementary texts: The site OpenStax has free online textbooks and resources for college and AP courses. One of the great things about this website is that content is peer-reviewed by educators and continuously updated, so information tends to be up to date. The following online textbooks are useful for MCAT studying: Biology 2e, Chemistry: Atoms First, Microbiology, Anatomy and Physiology, Psychology, Sociology, and Introductory Statistics. For instance, you might want to read more about the Bohr’s Model or the Periodic Table. Take one full-length Magoosh practice test. Make sure you set aside seven or more hours for the exam. You can review answers when you’re done, but there will also be time to do this later in the week. Register for the exam sometime this week. Read the chapter in the Official Guide on Critical Analysis and Reasoning. Answer questions for two sample passages, untimed. Review explanations for each question, even those that you answered correctly. Choose 20 cards from each major subject area. You can choose randomly from each section or grab the first 20 in the order they’re presented. If you don’t yet have a detailed deck, you can use the Magoosh Flashcards for general coverage. Spend 15 minutes flipping through your deck. Review concepts from the previous day. Practice the same set of flashcards for 15 minutes. Read magazine articles about current events for 30 minutes. Review flashcards for 15 minutes, focusing on the Biology concepts from Monday. Review flashcards for 15 minutes, focusing on the Physics concepts from Week 1. Complete three sample passages, untimed. Use the remaining time to assess the questions you missed. Make sure passages are from the post-2015 MCAT. Review flashcards for 15 minutes, focusing on the Chemistry concepts from Week 1. Most weeks, I want you to take one day off per week. But this first week, I recommend you take the AAMC practice test on Saturday. Make sure you set aside seven and a half hours to take the test. The computer marks and tags the questions you missed. You will review the answers next week. Skim the questions you missed on your practice exam last week. You will have time to look into this in more detail on Friday. If you have access to more CARS questions, complete four sample passages in 40 minutes. Use the remaining 20 minutes to assess the questions you missed. Make sure passages are from the post-2015 MCAT. 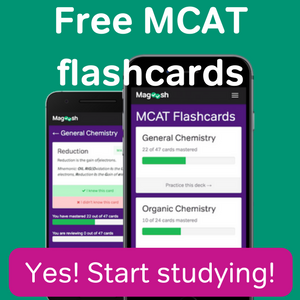 Review flashcards for 15 minutes, focusing on the Organic Chemistry concepts from Week 1. Practice questions from the AAMC Question bank or Magoosh questions. Review flashcards for 15 minutes, focusing on the Psychology and Social Psychology concepts from Week 1.
Review flashcards for 15 minutes, in the subject(s) of your choice. Take a second full-length Magoosh practice test. At this point, you might be taking a test that contains questions you have already come across, but it is still good practice. Make sure you set aside seven and a half hours to take the test. The computer marks and tags the questions you missed. You can review the answers immediately after completing the test, but there is also time to review the answers next week. Take one day off per week. If you can’t pull yourself away from the test, review flashcards. You can also use this day to read upbeat MCAT blogs or research medical schools you might want to attend. Complete four sample passages in 40 minutes. Review concepts from the entire week. Use this time to work on anything that will help you with the mechanics of the test: registration, applying for fee assistance, or learning stress reduction techniques. Complete any exercises you missed earlier in the week. If you are caught up, use this time to answer practice questions. Practice questions from the AAMC Question bank or Magoosh questions for 45 minutes. Review flashcards for 15 minutes, on all topics. Chemistry: Review what you’ve learned through weeks 1–4, focusing on weak areas. Take the second AAMC practice test, if you purchased it. Otherwise, retake the first AAMC exam or take one of the Magoosh exams. Skim the explanations to the questions you missed in last week’s practice exam. Review concepts from Sunday through Tuesday of this week. Today is the day to assess and create your first set of Hot Topic lists! Spend today reading the explanations to the practice test you took last Friday. Read the explanations for the questions you missed and the questions you answered correctly. On a separate document, create a list of the topics you had difficulty with. Look through your notes from weeks 1–5. Create a list of the 30-50 concepts you feel least confident about. Next, find a storage place for the larger stack of notes you took during Weeks 1–5. You will review these again during Week 8. Gather the lists you created from the “Review” and “Compile” steps. These are your HOT TOPICS LISTS. As the test gets closer, you will devote more time to reviewing these topics. Look over the Hot Topic lists you made last week. Choose three topics to research and review in greater detail, accessing external sources (textbooks, Wikipedia) if it’s helpful to do so. Practice questions from the AAMC Question bank or Magoosh questions for 45 minutes. If you have been through all your practice questions more than three times for each set, spend this time reviewing terms from your Hot Topics lists. Divide your flashcards into piles: A) know, B) sort of know, C) don’t know. Review flashcards for 15 minutes, focusing on the “sort of know” pile. Review flashcards for 15 minutes, focusing on the “don’t know” pile. Practice writing open-ended descriptions of several items on your list, and let your mind discover associations between these topics and other MCAT content. See what connections you can make across subject areas. Review flashcards for 15 minutes, focusing on the “know” and “sort of know” piles. Take the third full-length Magoosh practice test. At this point, you might be taking a test that contains questions you have already come across, but it is still good practice. Make sure you set aside seven and a half hours to take the test. Look over the practice test you took Friday. Carefully read the answer explanations. If you were shaky on some concepts, add them to your Hot Topics list. Look over the Hot Topic lists. Choose three topics to research and review in greater detail, accessing external sources (textbooks, Wikipedia) if it’s helpful to do so. Review flashcards for 15 minutes, focusing on the pile(s) of your choice. Today, you will begin a new Hot Topics List. Hold onto your originals, but create a new document or section of your notebook and title it: Hot Topics Weeks 6 & 7.
Review your notes from Week 6 and create a list of the three to six topics you feel least confident about. Look over the notes you took this week (Sunday through today). Add three to six topics to your new Hot Topics List. Take the first or second AAMC practice test one more time. Look over the practice test you took Friday. Carefully read the answer explanations. If you were shaky on some concepts, add them to one of your Hot Topics lists. Look over your Hot Topic lists. Choose three topics to research and review in greater detail accessing external sources (textbooks, Wikipedia) if it’s helpful to do so. Reduce your stacks of flashcards to 100 items, selecting only the cards you are weak on. Put the rest away. From now on, your Hot Topics lists will serve as the major method of review. Go back to the original set of notes you took during weeks 1–5. Everything you see should either be something you know well, or it should be on a Hot Topics list. If this is not the case, add it to one of your lists. I want you to spend all of your study time today organizing your Hot Topics Lists along with the notes you have taken on the items (weeks 1–8). By the end of the day, all items on your lists should have accompanying notes. Review flashcards for 15 minutes, quizzing yourself from the deck of 100 cards you created Sunday. Look over your Hot Topics lists, along with the notes. Prune these lists down to two sheets of paper (both sides) that contain the content you still need to commit to memory. Review your whittled-down Hot Topics pages. Practice writing open-ended explanations to each of these, and let your mind discover associations between these topics and other MCAT content. See what connections you can make across subject areas. Saturday is a common MCAT test date. Take today off and rest. Prepare your food and beverages for the exam and set out comfortable clothes for the next day. Download or bookmark directions to the testing site, and make sure you have your ID and wallet in a conspicuous place where you won’t forget them. Visualize how the day will unfold and how you’ll use your breaks. Go easy on the coffee, and good luck! Is there any way you can put up the OLD schedule as well? That was the one I was using and it was so useful, very inconvenient to come back to have the schedule completely changed because now I’m not sure where I am in my studying. Love the schedules but we should get a warning if major changes are going to be made or at least a link to the old ones for those of us using them. Hi There, I’m wondering if there is also a Google Doc for the updated schedule?